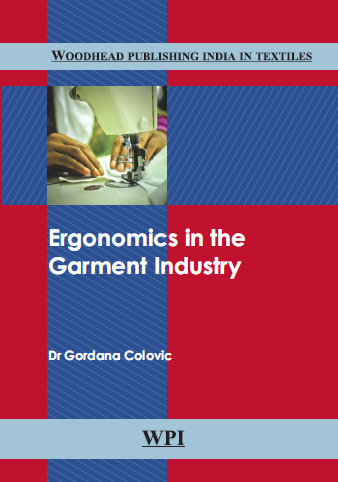 Ergonomics in the Garment Industry discusses the importance of ergonomics in the garment industry, with a detailed scientific analysis and examples from the garment industry. Application of ergonomics through the standardization of micro and macro environment in the garment industry provides an example of how to design the present and future processes; increases the efficiency and productivity of production; improves health, safety and comfort of people in the working environment. Knowledge of ergonomic conditions prevents employee discomfort, fatigue and physical injury. Injury related to poor ergonomic conditions can be prevented by designing the physical work environment around the physical needs of individual employees.